Grocery and hyperlocal have been buzzwords in the Indian startup ecosystem over the past six months. Besides a slew of new startups, grocery has also attracted the interest of biggies like Amazon and Paytm. While most of the online grocery startups focus on metros and bigger cities, the segment is also seeing players from tier I and II cities. “We launched PCK with a simple thought in mind ‘Make busy life easy’. Why not save time by just ordering it and getting it at your doorstep? Grocery and FMCG products are the biggest example of this,” says Sandeep Agarwal, the Co-founder of PCK. The company works on an inventory model and plans to keep it so even after expansion. “We have our own grocery buying, packaging, and delivery process. Currently, we have an inventory spread of over 2000 square feet,” adds Sandeep. Sandeep Agarwal, Rahul Agarwal, and SudeshPatodiya are the Co-founders of PCK. The idea took shape when Sandeep was working with an MNC. Because of his odd office hours, he had a problem fitting in shopping for groceries and other commodities of daily use.When Sandeep discussed this pain-point with other colleagues, including Sudesh who also worked for the same company, he learnt that (not to his surprise) most office-goers were facing the same issue. Sandeep talked to his brother Rahul, who was in the wholesale grocery business in Jaipur. “We evaluated the pros and cons of the business and after studying the industry and its potential, we launched PCK in April 2014 in Jaipur,” says Sandeep. The company didn’t face much of a problem in building a team, but, raising funds has been a major issue. 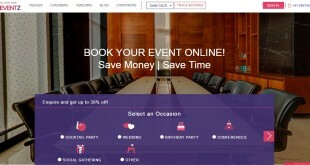 Currently, it is a bootstrapped venture looking to raise funds soon. The company gets traction from repeat customers with an average basket size of Rs 1500-2000. “There have been instances when customers needed the item within a few hours. So, taking into account the urgency of the requirement, we are working in two delivery slots to deliver the products on the same day,” says Sandeep. Customers can pay to Pinkcitykirana through plastic cards (debit and credit), cash on delivery (COD), or card on delivery. The minimum order value is currently fixed at Rs 800 and they deliver across the length and breadth of Jaipur. The company has plans to expand in the future and is looking for investors. “The team is currently expanding and we plan to hire a few more people once the funding arrives,” concludes Sandeep. Over the past six months, grocery and hyperlocal have been hot categories in e-commerce. Unlike other verticals, the online grocery space did not attract VC interest initially.But things have been changing with Bigbasket, Localbanya, and ZopNow scaling up quickly with venture backing. Also,Gurgaon-based Grofers and Peppertap have raised more than $55 million in venture capital in the past few months. After Amazon, Alibaba-backed mobile marketplace Paytm has also forayed into the grocery delivery space. The company will initially start with Bengaluru and will roll out in Delhi by May this year. 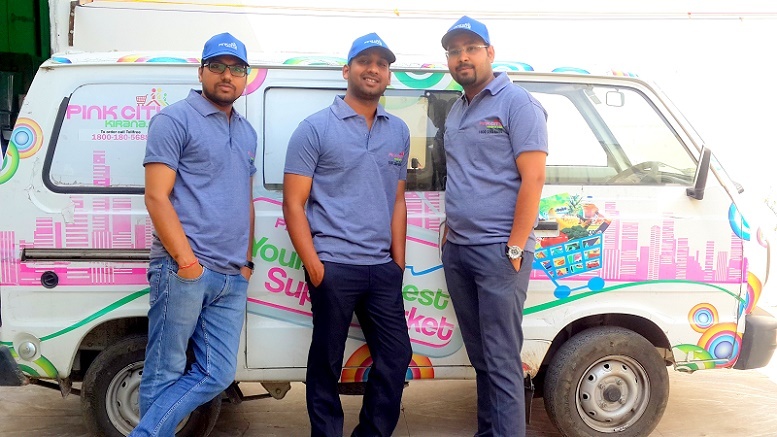 In Gurgaon, Pinkcitykirana have seen the debut of startups in the grocery and fresh veggies space but sadly they succumbed due to the dearth of funds. Anita Kashyap’s FoodMandi shut shop within six months of starting, while GoOnions also seems to have no presence on the web. Another Delhi-based grocery etailer Familykart ceased its operation within a few months of launching.